When you are a busy person it is very hard to have, something go wrong to your car, stopping it from driving or operating. Especially if it is due to a small issue like forgetting your keys inside the car and becoming locked out. It’s very important to only contact a professional and not try to attempt unlocking your car doors on your own out of stress and worry as it may lead to further damages and issues. By contacting one of our professional and trained locksmiths at Car Ignition Atlanta GA, you can be sure that any of your vehicle troubles will be taken care of properly, at your exact location, affordably, and quickly so that you may get back to your life safely. Our car mobile locksmith will be with you in only minutes from the time you give us a call to assist you, so don’t you worry any longer and give us a call in Georgia. 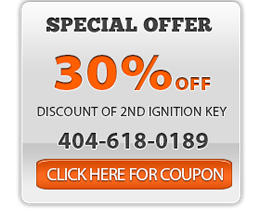 At Car Ignition Atlanta GA, all of our highly trained and experienced locksmiths provide many different expert solutions for any of your automobile problems. We can work with any vehicle model or year you may have using our top equipment and methods. If you have been locked out of your car, all you have to do is stay calm and call our mobile auto locksmith service to receive help in only minutes where you are. Our experts will arrive with all the most advanced tools to unlock your car door in no time at all. In the event that your keys have broken inside of your car door locks, we will provide you with a key removal/extraction to safely extract your keys without damaging your locks. We are able to help you program all of your vehicle transponder keys, chip keys, smart keys, and remotes while ensuring the chip is properly placed inside of your keys. When you need a new car, key made, Car Ignition Atlanta GA will send out one of our smart techs to have a new car key made or provide you with a car key replacement. If, your car key is giving you a hard time getting inside of your ignition, that means your ignition should professionally be looked at immediately. We can provide you with an ignition change or repair in no time at all depending on what it is that you need. No job is too hard or big for our committed techs. When you need our professional assistance, you will never have to worry about being over charged as our locksmith prices are extremely low and affordable enough to fit your financial budgets as they should be. You will notice all of the money you spend greatest worth shown in any service you purchase with us, every single time. Our locksmiths dedicate their life to their work as they consider it something they love which is why they will always make sure you are fully protected and satisfied before leaving you. Car Ignition Atlanta GA is here for you 24 Hours a day, 365 days a year, so no matter what time of day or night you may experience a vehicle lock or key problem, we are ready to answer your call and serve all of your needs. Go ahead and give us a call today to hear a free quote on any service you may need or to schedule a locksmith appointment for a specific date or time. Chrysler, Lexus, Dodge, Mitsubishi, Kia, Mazda, Nissan, Buick, Jeep, Cadillac, Ford, Mercury, Chevrolet / Chevy, Acura, GMC, Saturn, Subaru, Honda, Suzuki, Lincoln, Hyundai, Pontiac, Toyota, Infiniti, Scion, Isuzu.